"Solid, but it lacks reading and writing material." Pimsleur is one of the most famous names in language tuition. Since it was first developed in the 1960s, the Pimsleur method has been used by millions of people looking to gain conversational skills in a foreign language. One of their oldest and most popular courses is the Pimsleur Spanish course which I will be reviewing here. The Pimsleur method is a very unique approach to language learning. Unlike many other modern language courses there is no software, games, interactive video or textbooks. 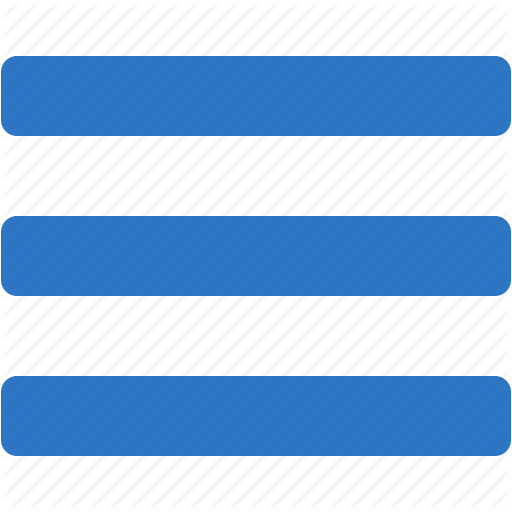 This course is entirely audio based. Yet many previous students claim that the Pimsleur method was responsible for them learning how to speak Spanish in a relatively short period of time. In this review I will analyze whether you can really achieve conversational fluency with the Pimsleur method. I will also explain what you receive when you purchase the full Pimsleur language course and how much it will cost you. After that I'll highlight some of the things that I like about this course, as well as some of its limitations and disadvantages. 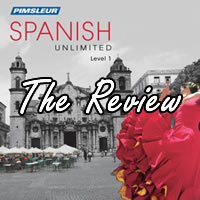 Finally you will find my recommendation as to whether or not you should purchase Pimsleur Spanish Unlimited. The Unlimited 1 - 4 package consists of 120 separate lessons, which are each approximately 30 minutes long. These are delivered in Audio CD and can also be copied to MP3 format for your iPod or other MP3 player. Also included are flash cards and basic reading materials. This course starts with very basic level Spanish, such as stating your name and greetings and moves all of the way through to advanced conversational skills. The Pimsleur method has three core pillars, which make it unique from other language learning courses. The first of these is anticipation. With Pimsleur Spanish you are required to translate a given phrase into Spanish. Requiring you to quickly translate mirrors the experience you have when speaking Spanish. The next pillar is graduated interval recall. This means reviewing new vocabulary repeatedly at intervals which increase in length. For example the first time you hear a word, it will be repeated five seconds later, then twenty five seconds, 2 minutes, 10 minutes, 1 hour, until it is being repeated days and weeks apart. Studies have shown that spaced repetition is one of the most effective ways to learn new material. Finally there is a focus on teaching only the core vocabulary that is frequently used in Spanish. Each level of Pimsleur focuses on teaching 500 core Spanish words. So by the end of level five you should know the 2,000 most commonly used Spanish words. Hear Spanish from a native speaker - If you are practicing in a classroom environment with other students, then you may not be getting a lot of exposure to how a true native speaks the language. With Pimsleur Spanish you will get used to hearing words pronounced properly. Ideal for travel - Pimsleur focuses on teaching you the phrases that you will need when you are travelling. Most of the conversational scenarios are centered on travel. This includes checking into your hotel, meeting new people, dealing with bus and taxi transportation and ordering at restaurants. Travel is the primary reason that people want to learn Spanish, and so this course will be useful for most. Perfect your Spanish accent - Pimsleur Spanish is great for perfecting your accent. You are hearing native pronunciation over and over again, and so after a while you naturally start to speak with the same accent yourself. This is excellent to help you perfect your rolling 'r's. Demands focus - Because you are constantly being prompted to provide an answer, you can't help but focus when using the Pimsleur method. This is not just passive listening or clicking on random words. You need to think carefully about what you are saying and this leads to rapid improvements in your spoken Spanish. Won't produce fluency in Spanish - Pimsleur promotes the course as being able to take you from complete beginner to near fluency. However this is an overestimation of the results that you can expect. In order to achieve fluency you need to converse with an actual person, and not just give scripted responses. Real conversation is much more fluid than what Pimsleur will train you for. While you can achieve an intermediate level of Spanish with this course you should not expect to be fluent at the end. Little focus on written Spanish - The Pimsleur Spanish course has very little focus on the written Spanish language. While conversational Spanish is probably what most people want to learn, the written language is also important, even for travellers. For college students the lack of reading and writing teaching material, means that an additional course will need to be purchased which covers these topics. Very repetitive - The Pimsleur method stresses what is called spaced repetition. This means that you are hearing the same words over and over again, using a very similar teaching style. While this is effective, it can also become fairly boring. Some people enjoy learning using the Pimsleur method but if you are not one of these people you may find listening to all 120 lessons tiresome. It is expensive - The full Pimsleur Spanish Unlimited course costs $450. This is very expensive for a language course, particularly one which is only audio based. To give some comparisons Rosetta Stone levels 1 - 5 costs $374, Fluenz Spanish is $398 and Rocket Premium Spanish is only $99.95 for a 20CD course. The Pimsleur Spanish course is one of the oldest and most used language courses on the market. The methods on which it was built were revolutionary at the time, and many of those same techniques are now used in other Spanish language courses. One of the best things about Pimsleur Spanish is that it is a very focused course. If you complete the four levels, then you will certainly achieve at a minimum basic Spanish conversational abilities as well as mastering the core vocabulary. Overall Pimsleur Spanish is a very solid method to learn spoken Spanish. However with its high price tag and lack of reading and writing material, it will not be the right choice for many Spanish language learners.